Our Ploughman’s Picnic Rolls made with Allinson wholemeal dough including a delicious combination of cheese and apple chutney, a perfect addition to a summer salad or all-year-round packed lunch. We like sharing a batch with friends. 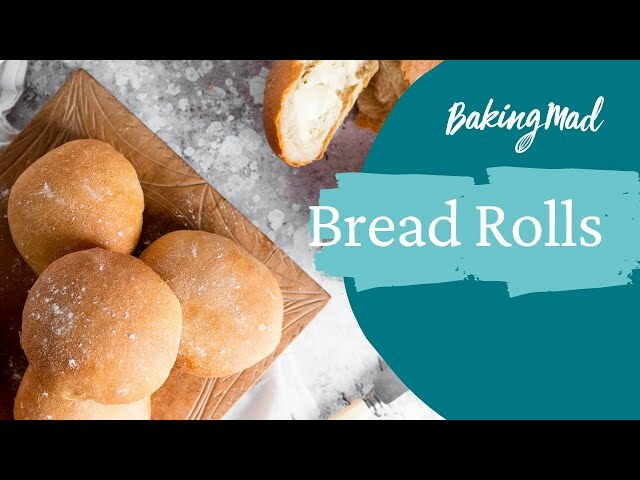 This recipe is suited to confident bakers, who might also enjoy our Seeded Knot Rolls made with Allinson white dough. SHAPE Brush a 23cm springform tin with some melted butter. Set aside 30g of the grated cheddar, and mix the rest with the other cheese, apple and chutney or pickle. Knock back the dough by gently kneading just 5 times to get the air out. Cut the dough into 12 even pieces (use a weighing scales if you like). Roll each piece into a ball, the roll out to form a disc and divide the cheesy filling between them. Shape back into smooth balls by pinching the edges together. Arrange, seam-side down, in the tin. PROVE Cover the rolls with a clean tea towel and leave to prove until doubled in size. Preheat your oven to 180°C (160°C fan, gas mark 4). BAKE Scatter each roll with a little grated cheddar, then bake for 50 minutes until golden and cooked through. Cool in the tin for 10 minutes, then on a wire rack.